Three days of food, flowers and farms. Itinerary highlights: fabulous food, bird viewing, herb farms and a honey farm. Begin your road trip with a night of old-world charm at the Sweet Magnolia House B&B in Aylmer, a beautifully restored heritage home. Rest your head in one of the three beautifully appointed guest rooms and enjoy a home-cooked and locally sourced breakfast in the morning. Start your morning with a visit to the Aylmer Wildlife Viewing Area, one of North America’s best locations for viewing wild swans. Watch the action from one of four viewing stands, or take a hike on the Canada Goose Way or Mockingbird Circle trails. 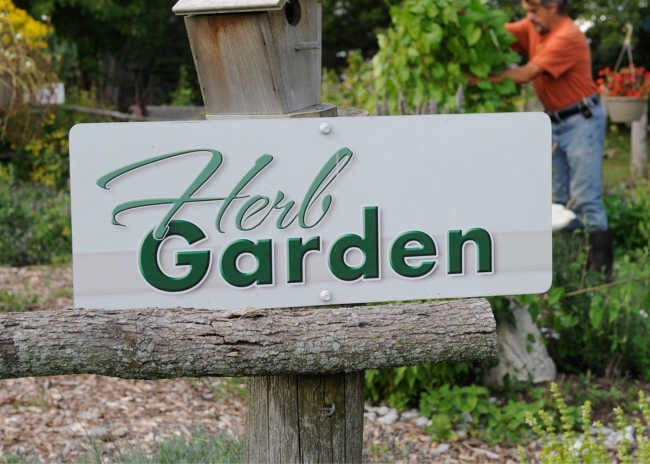 Next, make your way to Heritage Line Herbs, a working farm offering agri-tours, a retail store, nine themed walking gardens (including the pizza garden), potted herbs and heirloom vegetables. Their Silver Birch Tea Room showcases the best in local cuisine, including sandwiches, barbecued chicken and their signature lavender lemonade, a must-try. Trail and more. Inside the Honey Gift Store, visitors can sample all six honey varieties, as well as purchase treats, including honey spreads, beeswax candles and hand cream. Please note that Clovermead Adventure Farm is closed on Sundays. 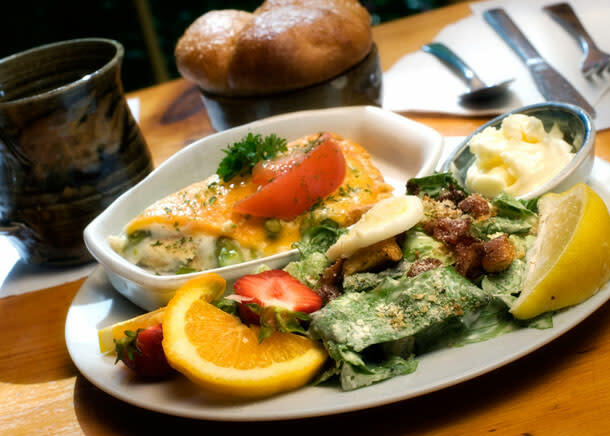 Enjoy lunch at the Green Frog Tea Room At Pinecroft in Aylmer. The Pinecroft ‘village’ has been a unique family business in Elgin County since 1948, creating earthenware and stoneware pottery and unique Canadian gifts for its visitors. The showroom and Green Frog Tearoom occupy the original log cabin built in 1934. The tearoom sources many of its ingredients from neighbouring farms, local markets and butchers, while fresh bread is baked in house. Menu items include crisp salads, sandwiches, crepes, old-fashioned chicken and dumplings and the very popular homemade mushroom soup. Signature dishes like asparagus pie, fresh strawberry soup, autumn pumpkin pear soup and rhubarb crisp reflect the changing seasons of the region. After lunch, make a stop at Steed & Company Lavender in Sparta. Steed & Co. Lavender produces pesticide-free, culinary-grade lavender. This 45-acre farm is designated an ‘Area of Natural Interest’ and guests are invited to stroll through the fields and gardens. Guided tours are also offered. In the gift shops, you can sample delicious homemade jams, jellies and condiments. – The Kettle Creek Inn. Located in the heart of Port Stanley, a fishing village nestled in a deep valley at the mouth of Kettle Creek, this historical 1849 inn is one of “Ontario’s Finest Inns.” The Inn has 10 guest rooms and five luxury suites. Dining options include an English-inspired pub and an upscale restaurant. The menu showcases a commitment to terroir with ingredients that are farmed or foraged locally, such as the perch and pickerel that arrive daily at the port just a few steps away. The signature dish is the locally revered chicken potpie. If you prefer to step out for dinner, the Windjammer Inn in Port Stanley is the place to be. Located steps from the beach, the award-winning restaurant is a place where global inspiration meets local sensibility. Chef Kim Saunders’ culinary sensibility and expertise shine through on the menu, which states the kitchen’s food philosophy: “Fresh, Local, Organic, Seasonal and Sustainable.” If it’s a warm evening, enjoy dinner on the wrap-around porch where the gentle breezes from Lake Erie roll in. 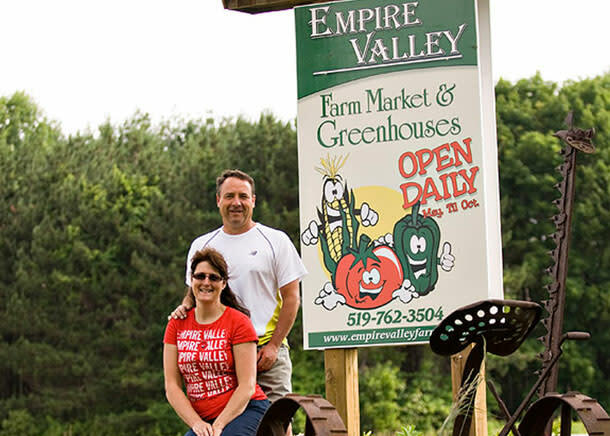 The next morning, head to Wallacetown, where you’ll find the Empire Valley Farm Market, tucked along the shore of Lake Erie on the historic Talbot Trail. From stunning hanging flower baskets to homegrown produce, such as heirloom tomatoes, cucumbers, peppers, strawberries and corn, this cozy country greenhouse is a community gathering place. Shop for fresh produce, or sign up for a hanging basket workshop, where friendly staff will guide you to create your own floral masterpiece. If you’re feeling a little peckish, be sure to pop into Tasty Sweets Cafe and Bakery for a light lunch. Conveniently located on the main street in West Lorne, Tasty Sweets offers a café style menu featuring sandwiches made with in-house baked bread, homemade soups and chili, as well as a variety of salads and entrees. The bakery is known for its breads, pies, ice cream cakes and other delicious desserts. While you’re in West Lorne, plan to make a stop at Arts & Cookery Bank, one of the most unique and stunning attractions in Elgin County. Located in a heritage 1914 Bank of Montreal building and an 1883 timber frame barn on the main street in West Lorne, it has become a regional culinary and cultural destination highlighting interactive cooking classes. Admission is free. Monthly culinary and photographic experiences are offered for all ages and abilities.